I’ve talked with the Nerdentials group about adding a news section to our website for some time and have been trying to find the time to make it happen. After today’s sad and somber news broke I felt this was important enough to acknowledge. It was about 10am this morning...just another Monday start to my day. Planning, organizing, scheduling. I knew it would hurt “if” it happened. Never imagined “when” it would happen. You see. 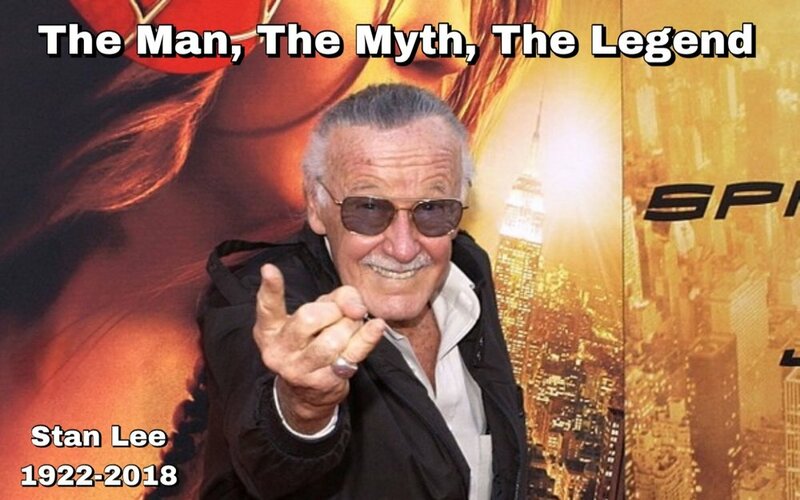 Mr Stan Lee was immortal in my 12 year old heart. He made so many imaginative dreams come to life across the pages of my favorite books! Comic books! From Spider-Man to Ironman. From the Fantastic Four to the Thunder God Thor I never knew what crazy, amazing adventure I’d be taken to next. So it was with complete shock that my 33 year old heart had just been delivered this harrowing news. News that my idol and inspiration for what I do and love today had past away. Gone from the toils this world wrought upon the 95 year old Legend and off into the infinite beyond that is the Marvelous Multiverse he conceived. I don’t want to carry on too much without the tight bonds I share with my fellow nerd crew. So there will be an upcoming full tribute Nerdentials episode next Monday. Paying our respects to the Great Stan Lee.